In The Desperate United States Nursing Shortage, we examined the statistics that define the nursing shortage in the U.S., particularly in California. Here, we will go deeper into the issues and offer possible suggestions. There are so few spots available in academic nursing programs because there are just not enough educators. To be a nurse educator, you must possess a bachelor's degree, at the very minimum. A master's prepared educator is ideal. 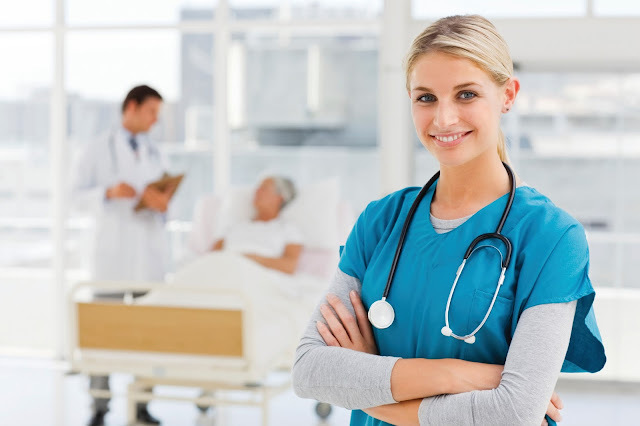 Additionally, all nurse administrators in hospital settings must be bachelor's prepared or higher as well. Hospital administration pays more than education, so the candidates that are qualified for both, often pursue administration. As hospitals become more expansive and service-oriented - which they must do to survive in this precarious industry - they will have to increase salaries to draw highly qualified administrators. This, in turn, increases the salary gap between hospital administrators and nurse educators even more. According to Diana Christiansen, president of The Atticus Group, a health care consultancy, "In California alone, enrollment must expand by 90 percent to meet the expected need for nurses. However, nursing schools are struggling to hire the faculty to meet the current 16 percent expansion in place. And 2010 this is predicted to be the biggest year for nursing faculty retirement in history." Consider the pipeline behind those retiring nurses. There aren't enough BSNs to replace the retirees, much less support a large expansion, which will be necessary to replace the Baby Boomers. "We know the nursing doctoral programs are expanding," says Christiansen. "But 50 percent of the people in the programs do not plan to teach. So, this whole expansion effort on the part of the schools is a house of cards." In order to recruit new nurses, hospitals need to develop an expansion or recruitment partnership with their supporting schools. Riverside Community Hospital (www.rchc.org) in Riverside, California and Long Beach Memorial Hospital (www.memorialcare.com/long_beach/) in Long Beach, California created proprietary partnerships with their local colleges and universities with nursing programs, which allowed the institutions to double their enrollments. The other storm brewing and gaining strength is the aging of nurse leaders. Have those nearing retirement had replacements identified and are they receiving the education and support they need to be ready? It is already extremely difficult for nursing schools to maintain enrollments, and this will occur at the time hospitals and colleges are losing staff to retirements. Meanwhile, part of hospital expansion efforts include adding more and more beds, which again expands the nurse-to-patient ratio into a greater, desperate deficit. And the cycle continues. Another issue is that graduates of two-year RN programs have their choice of jobs unpon graduation. After spending at least two years of completing prerequisite classes and general education, and perhaps idling at least a year on a waiting list, they are eager to get out and get to work. They know that for future advancement they will need their Bachelor's of Science in Nursing (BSN), but they feel they need to work first and they can eventually go back. Many never do. Once they begin working, the nurse to patient ratios are extremely high. Why? The nursing shortage. When nurses come in they are often extremely excited to begin the careers that they trained so hard and sacrificed so much for. However, because of hospital politics, the high nurse-to-patient ratio and the stereotypical dynamic that rookie nurses are often treated badly by their senior counterpoints and patronized by doctors frequently leads to disillusionment and then burnout. So what can be done? For starters, adises Christiansen, hospitals need to be aggressively proactive. A head-in-the-sand approach simply will not do. In essence, this has what has brought us to this potentially catastrophic brink as it is. "Hospitals need to partner with their academic institutions and develop innovative programs that will increase enrollment and nurture their nurses once they have entered the workforce." Christiansen adds that the first year of a nurse's career is the most tenuous. Many dropout and never come back to the profession. Educating and nurturing baccalaureate-trained nurses should be the utmost priority for any hospital that expects to weather this storm that is already causing a deluge of debt and devastation in hospitals in many regions of the country. California is particularly vulnerable because of its enormous population. Offering nurse educators comparable salaries is another step. Or, perhaps balance the two by allowing hospital nurses to teach one or two days a week, alleviating their burnout, while maintaining their salaries and allowing them to educate the next generation of nursing professionals.